Use the interactive map to the right to discover and enjoy daylily events in your area at shows, in display gardens, during educational symposia, community events and national garden tours. The list below also shows all scheduled events offered to our membership. Submit your daylily-related event for using the button below. Requests are sent to an administrator for review before posting. The sixth annual Chattahoochee Valley Daylily Festival will be held on Saturday, June 8, 2018, from 9 a.m. to 5 p.m. at the Columbus Botanical Garden, located at 3603 Weems Road in Columbus, Ga. The Daylily Festival will feature an accredited daylily show, a marketplace with daylilies and arts and crafts for sale, and the opportunity to learn growing tips and see demonstrations. Food will be available for purchase. Admission is free. 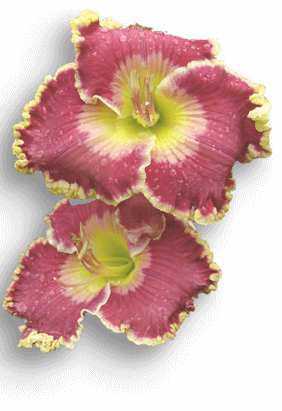 The daylily show is scheduled to begin at 1:15 p.m. The festival is presented by the Chattahoochee Valley Daylily Society, Columbus Botanical Garden and the University of Georgia Extension Service. For more info visit ColumbusBotanicalGarden.org or Chattahoochee Valley Daylily Society FB page! The event has been recognized by the AHS as a 2018 and 2019 Daylily Ambassador.